Aluminium composite sheet material consists of low-density polyethylene core sandwiched in between aluminium outer layers. 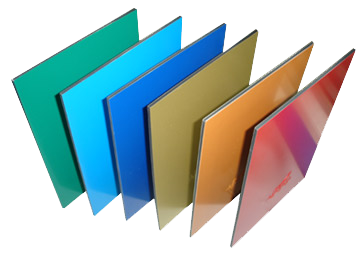 Aluminium composite material is widely used in the signage industries due to its versatility and the ease of use. It is becoming the material of choice; its modern appearance and longevity, combined with a vast colour range make it a perfect material for numerous applications. Cut to Size available for this product. Click here to find out more information about Aluminium Composite Panels.